Acrylic salt and pepper shakers are the ideal replacement for glass. Made with a clear durable acrylic material, these shakers have the look and feel of glass without the shatter. These shakers can fit seamlessly into any tabletop or bar setting. The clear design also allows staff to notice when they shakers need to be refilled! 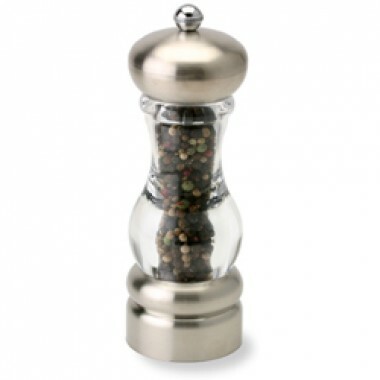 these salt and pepper shakers are made with a Ceramic grinding mechanism is fully adjustable from a coarse to a fine grind.